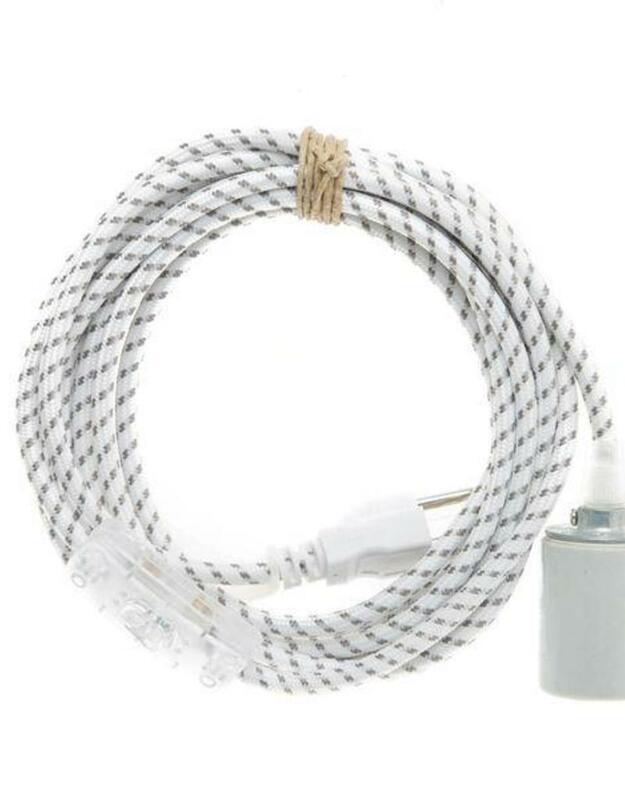 This cord set features our 18 gauge, 3-conductor (+,-,ground) premium rayon cloth covered wire, and is suitable for hardwiring. The max pull force 5.5 lbs, so be sure that shades and light fittings do not exceed this weight. 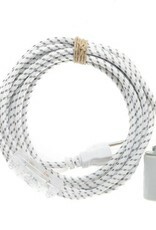 If you would like to convert this cloth covered pendant cord set to be hardwired please consult a licensed electrician. The socket measures 2-5/16" in length and has a diameter of 1-9/16".